“Spelman is taking into account evolving definitions of gender identity in a changing world and taking steps to ensure that our policies and plans reflect those changes in a manner that is consistent with our mission and the law,” Spelman College President Mary S. Campbell said in a statement. Like Spelman, a number of single-gender schools across the country — from universities to elementary schools — are revisiting their admissions policies. Not all of these schools, however, are taking the same approach. 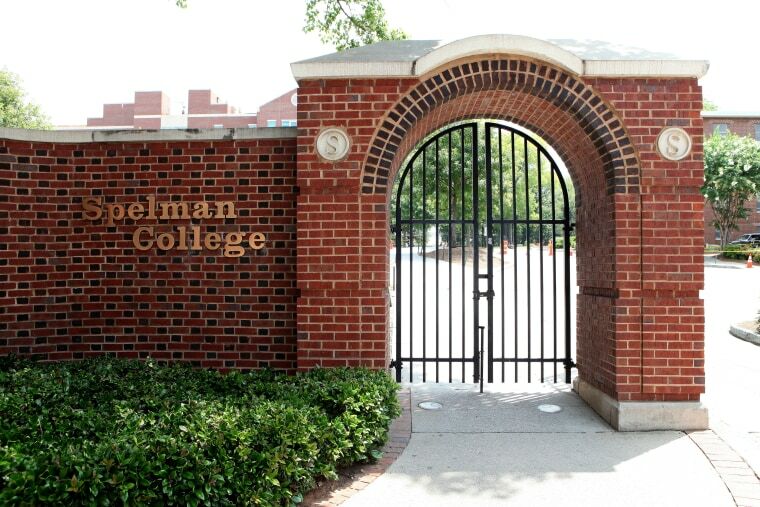 As it explored the possibility of updating its policy regarding transgender and gender-nonconforming students, Spelman convened a task force to review its admissions policies and undertook an “inclusive and deliberative process that involved the entire Spelman community,” according to Ingrid Hayes, the school’s vice president of enrollment. In the statement Spelman’s president released on Sept. 5, she clarified that the college will not admit transgender men, but if a student transitions to male while enrolled at Spelman, he will be permitted to continue to matriculate and graduate from the school. Hayes said in general, feedback from current students and alumnae has been positive. In 2013, transgender high school student Calliope Wong was refused admission to Smith College because her gender identity was not recognized on her federal financial aid application. Her rejection received significant media attention and helped to prompt a reconsideration of admissions policies at historically women’s institutions. Mills College in Oakland, Calif., was the first to permit transgender women in 2014, and, according to a recent survey by the Women’s College Coalition (WCC), 11 of its 39 member institutions across the country have now revised their policies to admit trans students. “Institutions already have trans students, and they need to be accountable to them, and that involves making changes to their admissions policies and programs to account for who is currently there and who going to be there in the future,” Erlick added. Even among those educational institutions that have already revised their policies regarding transgender and gender-nonconforming students, the details remain far from uniform. While Spelman relies on transgender women’s self-identification in the admissions process and will allow transgender men to complete their degrees, other historically women’s colleges have taken a different approach. Hollins University in Roanoke, Va., for example, requires that transgender women applicants medically and legally transition to female to be considered for admission, and transgender men who transition while students at the university are not permitted to graduate. While Ozumba did not comment on any specific college’s policy, she said she’s not surprised that each school is taking its own unique approach. Historically, men’s institutions have been slower to reconsider their policies. “There are only a handful of single-gender men’s institutions at the higher-education level, so there hasn’t been really any addressing of trans issues at these institutions,” Erlick said. Excluding seminaries and those that share facilities with all-women’s colleges, there are only three non-religious, four-year, private institutions left in the U.S.: Wabash College, Hampden-Sydney College and Morehouse College. NBC News reached out to Wabash and Morehouse but did not receive a response at the time of publication. The admissions policies available on their websites do not specifically address transgender admissions. Policy uniformity presents even more challenges at the K-12 level, according to Megan Murphy, executive director of the National Coalition of Girls’ Schools (NCGS), who noted all the schools in the NCGS are having conversations about transgender students. K-12 institutions are “far, far more diverse” than those at the college level, Murphy said. The NCGS, for example, contains private, public, religious, day and boarding schools, which are all subject to different city and municipal laws. Further, Murphy noted “our schools work with children” rather than young adults. Young students, however, may be the ones who need inclusive policies the most. There are approximately 150,000 transgender youth between the ages of 13 and 17 in the U.S., according to UCLA’s Williams Institute. These students are significantly more likely to experience harassment and bullying, with 75 percent of trans youth saying they feel unsafe at school. The Williams Institute also reports that one in six transgender-identified students leave school before graduation as a result of this treatment. Charlie Kerr, a transgender advocate and law student, attended an all-boys school in Baltimore from preschool until 12th grade. Even though Kerr said she was aware she was transgender by the age of 13, she didn’t transition while in school. Kerr said the school environment, which relied upon a "very traditional idea of masculinity," did little to make her feel welcome. “It was a major part of why I felt I couldn’t come out,” she added.